Acronis Monitoring Service is a SaaS-based unified monitoring solution for cloud, on-premise, and hybrid infrastructures. It provides you with everything you need to ensure critical systems are up and running and get insights into performance of your IT stacks via both internal (behind the firewall) and external (via the worldwide polling network) monitoring. 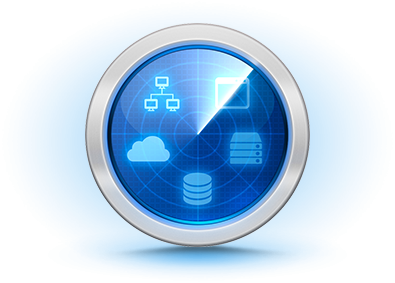 Robust, yet easy-to-use and affordable, Acronis Monitoring Service enables you to start tracking IT systems’ metrics in minutes with no training or complicated setups, receive customizable alerts in case of problems, and analyze historical and real-time data to identify performance optimization opportunities. Why use Acronis Monitoring Service? Downtime costs money and reputation – ensure your clients have a high quality experience 24*7 and proactively prevent problems. Setting up and maintaining a traditional monitoring system is hard – minimize complexity by deploying a modern unified monitoring in minutes. You are in charge of your company’s IT Infrastructure – ensure all critical IT systems are up, delegate responsibilities, and get an eagle’s-eye view of an entire infrastructure. Configure monitoring of critical IT systems’ metrics in minutes with no training required. A single-pane-of-glass monitoring for servers, operating systems, software, networks, and websites. Receive customizable alerts based on incident severity, component dependencies, thresholds, team roles or responsibilities. An in-house server or network, a private cloud, or a public cloud infrastructure served by an IaaS provider like AWS, Microsoft Azure, Rackspace or DigitalOcean, Acronis Monitoring Service works with all of them. Monitor multiple data centers in different geographical locations from a single dashboard. Easily configure both external (via the Acronis’ worldwide polling network) and internal (behind the firewall, inside your data center) checks within local area network (LAN) or wide area network (WAN). Track important operating system metrics likeCPU usage, CPU load, RAM, free disk space, disk usage, swap usage. Quick and easy agents’ installationSet up server monitoring by simply running a single shell command or through a standard Windows installer wizard. S.M.A.R.T. drivesMonitor S.M.A.R.T. drive’s health status and performance attributes. Website uptime monitoringMonitor availability at predefined time intervals to ensure your website is up 24*7*365 for all your visitors. Response time monitoringConstantly check how long it takes for your site to respond helps you ensure that your visitors have a consistently rewarding experience. SSL/TLS Certificate expiration monitoringSpecify the minimum number of days before expiration and to receive alerts if the certificate is not updated. Body and header content monitoringBe sure websites respond with a specified HTTP status codes. Network devices monitoringPing, SNMP devices, printers. Network channel quality monitoringPacket loss, jitter, latency. Network interface monitoringTraffic, packets, errors, discards. Use an arbitrary script or a shell command to implement a custom monitoring scenario. Collect, store and graph the measured data, set thresholds and get alerted about virtually any metrics. ICMP, HTTP/HTTPs, TCP, SSH, FTP, SMTP/SMTPs, IMAP/IMAPs, POP3/POP3s. The application’s central monitoring panel interface is available from any computer or tablet device anywhere around the world through a secure connection. Get the information you need to keep your entire network in top shape through network maps, charts, tables and dashboards. Easily add as many infrastructures and components as you require, and streamline them for different tasks, departments, offices, or clients. Create meaningful and logical dependencies between network components, such as routers, printers, switches, UPSes, storages, servers, and applications. Acronis Monitoring Service supports two types of checks: external (via the Acronis’ worldwide polling network) and internal (behind the firewall). External monitoring is performed remotely using the global monitoring network of Acronis’ public agents. With no software to install you are able to ensure your websites, web services and internet-facing devices are up and running smoothly. For internal monitoring small-footprint native agents are installed on the on-premise or cloud-based servers, thus enabling monitoring of your IT infrastructure (system, network and application metrics) beyond the firewall.